Evans has been a huge hit in Roscommon so far. TWO KERRY FOOTBALL figures are playing key roles in the rapid progress of Roscommon football. Manager John Evans has drafted in fellow Kingdom native Liam Kearns as a coach with Roscommon having clinched a second successive league title in April. Now they’re gearing up for a Connacht semi-final next Saturday when they take on Sligo. Kearns is a designated attacking coach in the Rossies setup and Kilbride has hailed his impact. “Liam is a very good people person. He gets on very well with the players. He has very good ideas how to play football. The way he likes to play football is very similar to the way I like to play football,” he said. So he has very good ideas and he’s a very good man manager as well. So you can have a quiet word with him. He’s very trustworthy. Kilbride believes Evans has designs on going deeper into the championship after his manager said in April that he wanted to lead Roscommon to the top. “Yeah, he’s putting that message out a good bit. But inside the dressing-room he’s very positive about our chances of progressing this year and over the next couple of years into a very competitive team in the All-Ireland,” he said. That is the dream. Hopefully we can fulfil it at some stage. Kilbride, the Opel GAA-GPA Footballer of the Month for May, looks to his own success with club side St Brigids as a lesson for setting out goals, after club captain Niall Grehan stated his side wanted to go all the way to the All-Ireland after winning the Roscommon county title in 2010. “I think everyone was a bit surprised when he said it, but fair play to him. He’s just putting it out there. It’s what he believes and he’s not trying to cod anyone,” he said when asked about Evans’ comments. And we got to the All-Ireland Final that year, so it’s no harm putting it out there as long as you can back it up with the work-rate. 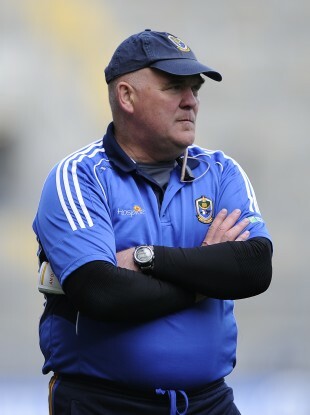 Roscommon were the last side other than Mayo to win the Connacht Championship, and if they navigate their way past Sligo on Saturday evening they will set up a Connacht final with the team seeking five-in-a-row. Email “Two Kerry men are guiding Roscommon's assault on the Connacht championship this year”. Feedback on “Two Kerry men are guiding Roscommon's assault on the Connacht championship this year”.